Filharmonie Brno has an illustrious history of music making. 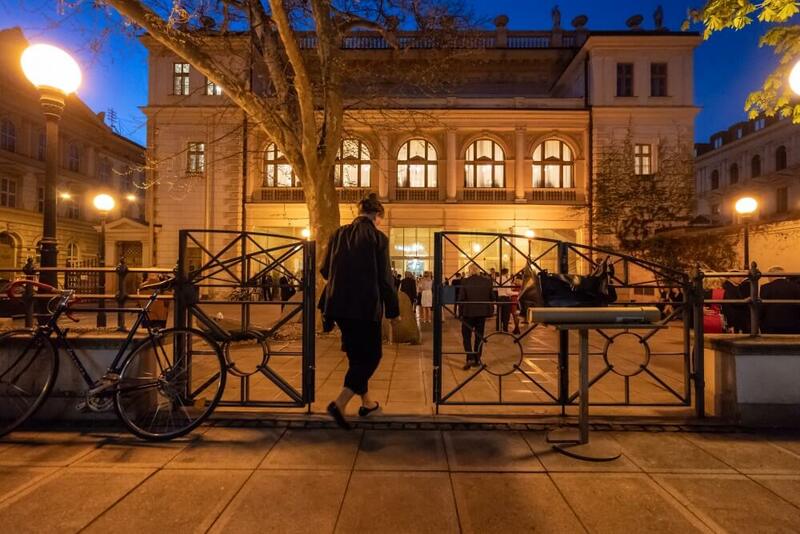 Its beginnings dating back to the 1870s when its first predecessor an amateur Czech Symphony Orchestra was established under the auspices of Leoš Janáček and housed in the purpose-built Besední dům, the present orchestra’s magnificent home. Formed in 1956 after the merger of the Radio Orchestra and the Brno Region Symphony Orchestra, Filharmonie Brno has been regarded as one of the best orchestras in this country. In Brno the orchestra gives about 40 concerts in the pleasant ambience and excellent acoustic of Besední dům, as well as presenting regular concert series in Stadion Kounicova (while Janáček Opera House is in reconstruction). In addition, the orchestra performs frequently throughout the Czech Republic, making regular appearances at prestigious Czech festivals such as the Prague Spring (a festival which the orchestra were honoured to open in 2008). Filharmonie Brno made its first foreign tour in 1956 and since then has given well over 700 concerts throughout Europe, USA and the Far East. These have included appearances on some very special occasions – for example a concert for the Pope at the Vatican in 2000 or the Toyota Classics in the capitals of six Asian countries in 2004. Most recent touring projects include Rheingau Musik Festival and AUDI Sommerkonzerte in Germany, Klubhaus Konzerte and Murten Classics in Switzerland, Cheltenham Music Festival in England, tours of Japan (24 concerts in 2007 and 18 in 2009), Opernfestspiele St. Margarethen (with Elina Garanca), tours of China (5 concerts in 2018). The orchestra has collaborated with a number of distinguished conductors, including Karel Ancerl, Jiri Belohlavek, Sir Charles Mackerras, Kurt Masur, and Yehudi Menuhin, and has thrived on musical partnerships with a number of exceptional soloists: Yefim Bronfman, Rudolf Buchbinder, Elina Garanca, Sophia Jaffé, Wilhelm Kempff, Olga Kern, Gidon Kremer, John Lill, Johannes Moser, Julian Rachlin, Sviatoslav Richter, Fazil Say, and Eva Urbanova, to name but a few. Filharmonie Brno has often been labelled as a Janacek’s orchestra and rightly so. Brno, where the composer lived and worked, has always been a lively centre of his music. Since its foundation in 1956, the ensemble has given well over three hundred performances of works by Janáček at concerts both in the Czech Republic and abroad. It has also recorded Janáček’s complete symphonic and cantata works. Filharmonie Brno has recorded extensively with Supraphon – nowadays the largest and most prestigious record company in the Czech Republic – and has also made a number of high-quality recordings with Sony Music, IMG Records and BMG, as well as with a number of other well-known record labels. Most recently, orchestra has recorded with Music Sales, Classic FM and Sony BMG, Channel 4, Supraphon, Royal National Theatre in London and Universal. In 1956, when it was formed, Filharmonie Brno started cooperation with Czech Radio, and this relationship has continued up until today. A number of recordings by Filharmonie Brno feature the Czech Philharmonic Choir Brno – one of the finest professional choirs in the world, an ensemble which also enjoys an important partnership with Filharmonie Brno during concerts at home and abroad – and Kantilena, a strictly selective children’s choir, laureate of a series of international choir competitions. It was formed in 1956 and has collaborated with Filharmonie Brno since 1984.